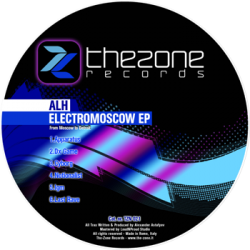 Electro is the music of robots, and robots, nowadays, are conquering the Russia, with the help of newcomer ALH. Hard to believe that this debut EP is coming from the East, where ice and lowest temperatures have the power during the full year. Every track has something of special, a kaleidoscope with a lot of influences: from Detroit Electro (Dx Game, Igm) with a lot of basses, synthetic melodic lines and synchopated rhythms, to Breaks and Breakbeat (Last Rave, Apparatus) via Electro Techno in drexciyan mode with Acid influences (Cyborg, Nationalist), which sounds as the perfect mix between music from sea and music coming from the laboratories of mad scientist. Have you ever think to robot zar who brings new music to Kremlin and Red Square?